This document is a request from Miss Laughlin to friends asking them to send a Christmas card with "a loving thought" to her instead of the usual Christmas gift. 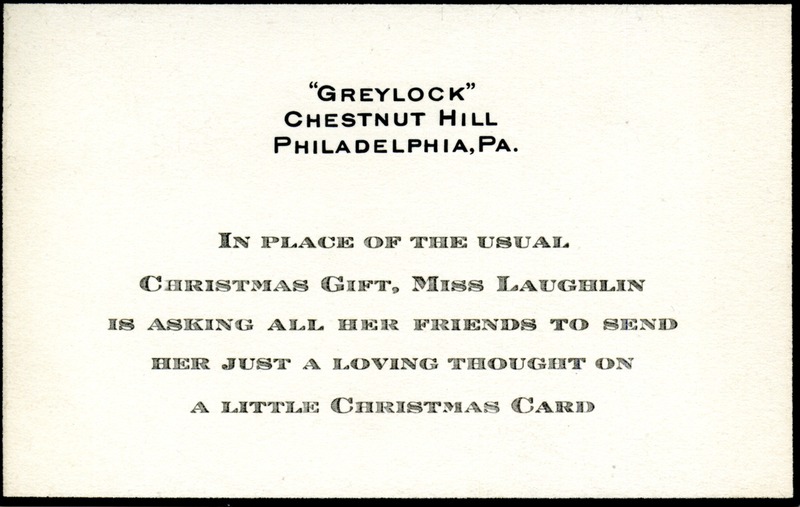 Miss Laughlin, “Request for A Christmas Card from Miss Laughlin.” Martha Berry Digital Archive. Eds. Schlitz, Stephanie A., Hannah Bailey, et al. Mount Berry: Berry College, 2012. accessed April 24, 2019, https://mbda.berry.edu/items/show/8200.